This chapter examines secret military courts established for trying civilians charged with terrorism-related offenses. The first section examines how the Pakistani authorities failed to provide institutional independence to military courts (e.g., by keeping the courts within the executive branch of power) and to secure the individual independence of judges (e.g., by appointing as judges military officers with no legal training and no security of tenure). The second section explores how military courts failed to meet some key requirements of a fair trial (e.g., defendants had no right to a public hearing, no right to have a defense lawyer). The last section examines how the imposition of the death penalty by military courts was inconsistent with Pakistan’s obligation to protect the right to life. Ali, Fawad. 2015. “To Be Hanged Till Death: PHC Upholds Death Sentence of Two Convicted Terrorists by Military Court.” The Express Tribune, October 15. https://tribune.com.pk/story/972950/to-be-hanged-till-death-phc-upholds-death-sentence-of-two-convicted-terrorists-by-military-court/. Accessed on 26 July 2018. Cheema, Hasham. 2017. “The Sun Has Set on Pakistan’s Military Courts—Here’s Why It Should Never Rise Again.” Dawn, March 6. https://www.dawn.com/news/1306792/the-sun-has-set-on-pakistans-military-courts-heres-why-it-should-never-rise-again. Accessed on 26 July 2018. CTITF (Counter-Terrorism Implementation Task Force). 2014. Basic Human Rights Reference Guide: Right to a Fair Trial and Due Process in the Context of Countering Terrorism. New York: CTITF Publication Series. https://www.ohchr.org/EN/newyork/Documents/FairTrial.pdf. Accessed on 3 July 2018. Gishkori, Zahid. 2015. “Speedy Trial: Military Courts to Try Nearly 3400 Terrorists.” The Express Tribune, January 8. http://tribune.com.pk/story/818571/speedy-trial-military-courts-to-try-nearly-3400-terrorists/. Accessed on 24 July 2018. Hashim, Asad. 2016. “Pakistan Supreme Court Dismisses Civilian Appeals Against Military Convictions.” Dawn, August 29. https://www.reuters.com/article/us-pakistan-military-court-idUSKCN1140O4. Accessed on 25 July 2018. Hassan, Syed Raza. 2017. “Pakistan’s Parliament Votes to Reinstate Secret Military Courts.” Reuters, March 21. https://www.reuters.com/article/us-pakistan-military-court-idUSKBN16S2CC. Accessed on 26 June 2018. Houreld, Katherine. 2015. “Militants in Minority in Pakistan Execution Drive, Deterrent Effect Debated.” Reuters, July 26. http://www.reuters.com/article/2015/07/27/us-pakistan-executions-insight-idUSKCN0Q00W420150727. Accessed on 25 June 2018.
International Commission of Jurists (ICJ). 2016a. Military Injustice in Pakistan: A Briefing Paper. Geneva: ICJ. https://www.icj.org/wp-content/uploads/2016/06/Pakistan-Military-court-Advocacy-Analysis-brief-2016-ENG.pdf. Accessed on 24 July 2018. ———. 2016b. Military Injustice in Pakistan: Questions and Answers. Geneva: ICJ. https://www.icj.org/wp-content/uploads/2016/12/Pakistan-military-courts-QA-Advocacy-2016-ENG.pdf. Accessed on 26 July 2018.
International Crisis Group (ICG). 2015. Revisiting Counter-Terrorism Strategies in Pakistan: Opportunities and Pitfalls. Brussels: ICG. 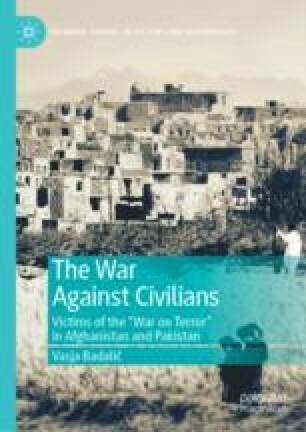 https://d2071andvip0wj.cloudfront.net/271-revisiting-counter-terrorism-strategies-in-pakistan-opportunities-and-pitfalls.pdf. Accessed on 24 July 2018. “ISPR: Army Chief Approves Death Sentences of 7 Terrorists.” 2015. Dawn, August 13. http://www.dawn.com/news/1200269. Accessed on 24 July 2015. Kaphle, Anup. 2014. “Pakistan Announces a National Plan to Fight Terrorism, Says Terrorists’ Days Are Numbered.” The Washington Post, December 24. https://www.washingtonpost.com/news/worldviews/wp/2014/12/24/pakistan-announces-a-national-plan-to-fight-terrorism-says-terrorists-days-are-numbered/?utm_term=.b41ec2769102. Accessed on 26 July 2018. Khan, Azam. 2015. “NA, Senate Pass 21st Constitutional Amendment, Army Act Amendment.” The Express Tribune, January 6. https://tribune.com.pk/story/817471/pm-meets-parliamentarians-to-discuss-constitutional-amendment/. Accessed on 26 July 2018. Kine, Phelim. 2015. “Dispatches: Hashtag Injustice via Pakistan’s Military Courts.” Human Rights Watch, April 6. https://www.hrw.org/news/2015/04/06/dispatches-hashtag-injustice-pakistans-military-courts. Accessed on 24 July 2018. Malik, Hasnaat. 2015a. “Convicted of Terror: Woman Moves SC Against Verdict of Military Court.” The Express Tribune, November 8. https://tribune.com.pk/story/987236/convicted-for-terror-woman-moves-sc-against-verdict-of-military-court/. Accessed on 26 July 2018. ———. 2015b. “SC Suspends Two Military Court Death Sentences.” The Express Tribune, December 7. https://tribune.com.pk/story/1005433/sc-suspends-two-military-court-death-sentences/. Accessed on 25 June 2018. Raza, Syed Irfan. 2015. “Security for Military Court Judges and Prosecutors.” Dawn, February 25. https://www.dawn.com/news/1165793. Accessed on 5 August 2018. Shah, Waseem Ahmad. 2015. “PHC Upholds Terror Convictions by Military Courts.” Dawn, October 14. https://www.dawn.com/news/1213212. Accessed on 25 July 2018. Shams, Shamil. 2017. “The Civilian Surrender—Pakistan Reinstate Military Courts.” Deutsche Welle, March 22. https://www.dw.com/en/the-civilian-surrender-pakistan-reinstates-military-courts/a-38066926. Accessed on 26 July 2018. Siddiqui, Naveed. 2017. “3 Terrorists Convicted by Military Courts Executed in KP: ISPR.” Dawn, October 4. https://www.dawn.com/news/1361654#comments. Accessed on 26 July 2018. The Constitution (Twenty-First Amendment) Act (Act No. I of 2015). 2015. http://www.ilo.org/dyn/natlex/docs/ELECTRONIC/101679/122625/F76813101/PAK101679.pdf. Accessed on 26 July 2018. The Pakistan Army Act (XXXIX of 1952). 1952. http://pja.gov.pk/system/files/Army%20Act%201952.pdf. Accessed on 26 July 2018. U.N. Economic and Social Council. 1989. Implementation of the Safeguards Guaranteeing Protection of the Rights of Those Facing the Death Penalty, Resolution 1989/64. https://www.unodc.org/documents/commissions/CCPCJ/Crime_Resolutions/1980-1989/1989/ECOSOC/Resolution_1989-64.pdf. Accessed on 27 July 2018. ———. 1995. Independence and Impartiality of the Judiciary, Jurors and Assessors and the Independence of Lawyers: Report of the Special Rapporteur, Mr. Param Cumaraswamy, Submitted in Accordance with Commission on Human Rights Resolution 1994/41, E/CN.4/1995/39. http://undocs.org/E/CN.4/1995/39. Accessed on 24 July 2017. ———. 2006. Draft Principles Governing the Administration of Justice Through Military Tribunals, U.N. Doc. E/CN.4/2006/58 at 4. http://hrlibrary.umn.edu/instree/DecauxPrinciples.html. Accessed on 27 July 2018. U.N. General Assembly. 1948. The Universal Declaration of Human Rights. Adopted and Proclaimed by General Assembly Resolution 217 A (III) of 10 December 1948. https://www.ohchr.org/Documents/Publications/CoreTreatiesen.pdf. Accessed on 9 May 2018. ———. 1966. International Covenant on Civil and Political Rights. Adopted by the General Assembly of the United Nations on 19 December 1966. https://treaties.un.org/doc/publication/unts/volume%20999/volume-999-i-14668-english.pdf. Accessed on 8 May 2018. ———. 1985. Basic Principles on the Independence of the Judiciary. Adopted by the Seventh United Nations Congress on the Prevention of Crime and the Treatment of Offenders Held at Milan from 26 August to 6 September 1985 and Endorsed by General Assembly Resolutions 40/32 of 29 November 1985 and 40/146 of 13 December 1985. https://www.ohchr.org/en/professionalinterest/pages/independencejudiciary.aspx. Accessed on 28 July 2018. U.N. Human Rights Committee. 1982. CCPR General Comment No. 6: Article 6 (Right to Life). http://www.refworld.org/docid/45388400a.html. Accessed on 2 August 2018. ———. 1987. Carlton Reid v. Jamaica, Communication No. 250/1987, U.N. Doc. CCPR/C/39/D/250/1987. http://hrlibrary.umn.edu/undocs/session39/250-1987.html. Accessed on 5 September 2018. ———. 1990. G. A. van Meurs v. The Netherlands, Communication No. 215/1986, U.N. Doc. CCPR/C/39/D/215/1986. http://hrlibrary.umn.edu/undocs/session39/215-1986.html. Accessed on 1 August 2018. ———. 1992a. M. Gonzalez del Río v. Peru, Communication No. 263/1987, U.N. Doc. CCPR/C/46/D/263/1987. http://hrlibrary.umn.edu/undocs/dec26346.pdf. Accessed on 24 July 2018. ———. 1992b. Alrick Thomas v. Jamaica, Communication No. 272/1988, U.N. Doc. CCPR/C/44/D/272/1988. http://www.worldcourts.com/hrc/eng/decisions/1992.03.31_Thomas_v_Jamaica.htm. Accessed on 31 July 2018. ———. 1992c. Dieter Wolf v. Panama, Communication No. 289/1988, U.N. Doc. CCPR/C/44/D/289/1988 at 80. http://hrlibrary.umn.edu/undocs/html/289-1988.html. Accessed on 1 August 2018. ———. 1993. John Campbell v. Jamaica, Communication No. 307/1988, U.N. Doc. CCPR/C/47/D/307/1988. http://hrlibrary.umn.edu/undocs/html/307-1988.html. Accessed on 1 August 2018. ———. 1997a. Concluding Observations of the Human Rights Committee: Slovakia, CCPR/C/79/Add.79. http://www.refworld.org/docid/3ae6b032c.html. Accessed on 27 July 2018. ———. 1997b. R. Espinoza de Polay v. Peru, Communication No. 577/1994, U.N. Doc. CCPR/C/61/D/577/1994. http://www.worldcourts.com/hrc/eng/decisions/1997.11.06_Espinoza_de_Polay_v_Peru.htm. Accessed on 27 July 2018. ———. 1998. Domukovsky et al. v. Georgia, Communications No. 623/1995, 624/1995, 626/1995 and 627/1995, CCPR/C/62/D/623, 624, 626 & 627/1995. http://www.univie.ac.at/bimtor/dateien/hrc_1998_domukovsky_vs_georgia.pdf. Accessed on 2 August 2018. ———. 2000. Cesario Gómez Vázquez v. Spain, Communication No. 701/1996, U.N. Doc. CCPR/C/69/D/701/1996. http://hrlibrary.umn.edu/undocs/session69/view701.htm. Accessed on 2 August 2018. ———. 2003. Azer Garyverdy ogly Aliev v. Ukraine, Communication No. 781/1997, U.N. Doc. CCPR/C/78/D/781/1997. http://hrlibrary.umn.edu/undocs/781-1997.html. Accessed on 27 July 2018. ———. 2005. Valichon Aliboev v. Tajikistan, Communications No. 985/2001, U.N. Doc. CCPR/C/85/D/985/2001. http://hrlibrary.umn.edu/undocs/985-2001.html. Accessed on 27 July 2018. ———. 2007a. General Comment No. 32: Article 14 (Right to Equality Before Courts and Tribunals and to Fair Trial), CCPR/C/GC/32. http://www.refworld.org/docid/478b2b2f2.html. Accessed on 24 July 2018. ———. 2007b. Concluding Observations of the Human Rights Committee: Chile, CCPR/C/CHL/CO/5. http://www.refworld.org/country,,HRC,,CHL,,46712bef2,0.html. Accessed on 27 July 2018. U.N. Human Rights Council. 2017. Capital Punishment and the Implementation of the Safeguards Guaranteeing Protection of the Rights of Those Facing the Death Penalty: Yearly Supplement of the Secretary-General to His Quinquennial Report on Capital Punishment, A/HRC/36/26. https://www.ohchr.org/en/hrbodies/hrc/regularsessions/session36/pages/listreports.aspx. Accessed on 25 July 2017. Yousaf, Kamran. 2015. “Tackling Terrorism: Military Courts Award Death Sentence to Six.” The Express Tribune, April 3. https://tribune.com.pk/story/863556/tackling-terrorism-military-courts-award-death-sentence-to-six/. Accessed on 5 August 2018.